Make plans to join us for this celebration of life on the water! Find us on Facebook! 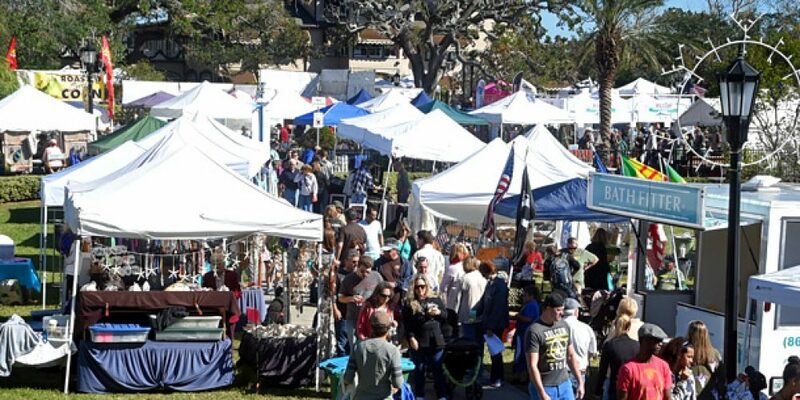 CELEBRATING 10 YEARS OF RIVERFEST We’ll be celebrating 10 years of seafood, music and fun at the 10th Annual Riverfest Seafood Festival in Ormond Beach on Nov. 17 & 18. The Festival takes over Rockefeller Gardens and Fortunato Park for a jam-packed weekend of exciting activities for the whole family. This year we’ll feature more food than ever before, with new vendors joining old favorites on the Casements grounds. From fried shrimp to fresh fish tacos, poke bowls to authentic Philly cheesesteaks there’s something for even the pickiest eater. Wash it down with a cold draft beer or a chilled soda from our beer garden. Savor some deep-fried oreos, sweet & salty kettle corn or gourmet cotton candy as you wander. Don’t want to leave the house on a football weekend? You can have the best of both worlds at our new outdoor pub hosted by Grind Gastropub and Kona Tiki Bar and featuring satellite TVs streaming the afternoon’s best games. The festival is about much more than food, however. 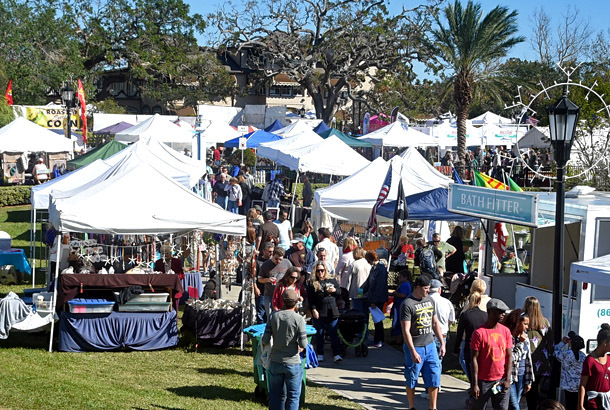 Held right along Ormond’s sparkling riverfront, the event features two days of water activities, a wildly popular kids fishing clinic, chef demonstrations, a kids’ zone, vendors and, of course, great music. This year the Riverfest runs Saturday, November 17 from 10 am – 6 pm and Sunday, November 18 from 10 am – 4 pm. Free admission and free parking make it easy to enjoy the great variety of planned activities in both riverfront parks. A free shuttle service from the City Hall parking lot makes parking even easier. Take a look at the website for parking locations. Head down by the bridge for kids’ crafts and games, bungees, water balls, bounce houses and face painting. Become a pirate for the day as you mingle with pirate characters and climb on the great big pirate ship. Of course, our popular Kid Fish fishing clinic will be back this year- sponsored by Fish Florida, Hull’s Seafood and Innovative Bookkeeping. Kids from 4-12 can become little anglers and take home one of our 300 free fishing poles while supplies last. Like boats and water play? Head to Fortunato Park for kayaks, paddle boards and more. Check out our boat and grown up “toy” displays. Grab a ride on the fabulous Seabreecher! Check our Facebook event page for updated schedules of music, events and chef demos. 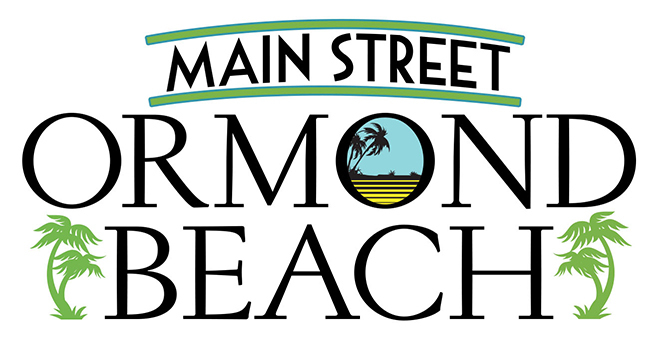 For more information about the Festival or how to become a vendor or a sponsor, please contact Julia Truilo at julia@ormondmainstreet.com or Becky Parker at becky@ormondmainstreet.com 386/492-2938. RIVERFEST SEAFOOD FESTIVAL IS SPONSORED IN PART BY Adams, Cameron & Co, Acies Technologies, City of Ormond Beach, Daytona Beach News-Journal, Early Learning Coalition, Fish Florida, Grind Gastropub and Kona Tiki Bar, Halifax Insurance Partners, Highlander Corporation, Hometown News, Innovative Bookkeeping, Miller Lite, Money Pages, Ritchey Cadillac, Ritchey Buick-GMC, Robbins Camper Sales, Ormond Observer, S.R. Perrott, Southern Stone Media Group, Vystar Credit Union, WSBB & Waste Pro Application and rules can be downloaded here: 2018 Vendor Application and Rules Check out our Facebook Page here! 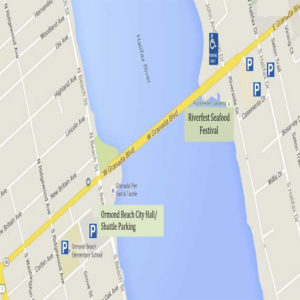 To find Riverfest from the mainland, proceed east on State Road 40 over the Granada Boulevard Bridge in downtown Ormond Beach. If you are coming from A1A, just turn west on Granada Boulevard and the festival will be easy to spot right before the bridge. There is additional parking available at Ormond Beach City Hall and a free shuttle service running back and forth across the bridge all day. See our parking map below.